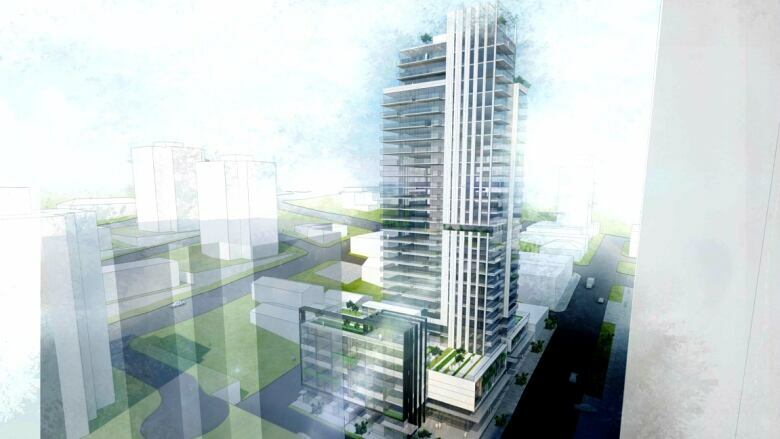 Domus Homes is partnering with Performing Arts Lodges Vancouver to provide affordable housing for artists as part of a new condo tower project in New Westminster. New Westminster, B.C., resident Russell Roberts never struck it rich over the course of his 40-year acting career. In fact, he's frequently had to dip into his RRSPs to make ends meet. Roberts is now heading into his retirement years with about $2,500 stashed away, which isn't much of a nest egg for a performer who wants to stay in the increasingly expensive community he's called home for nearly three decades. "As older actors, we still want to participate in the growth and community that we live in," he told council this week. "I don't want to have to move into Vancouver." Now he won't have to. 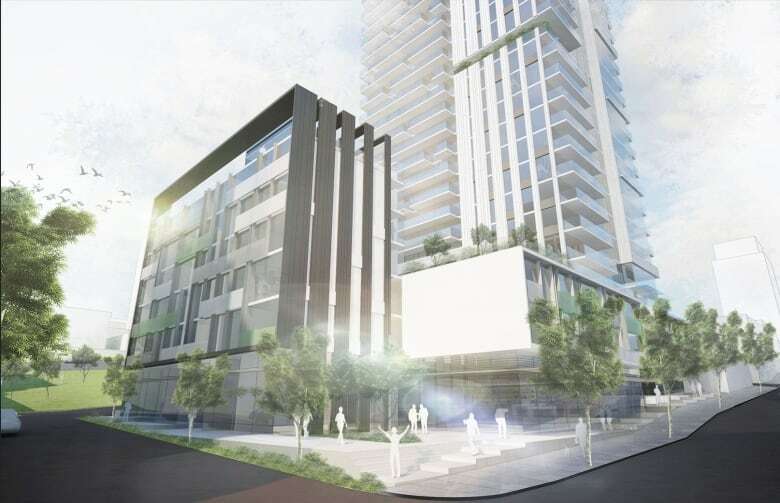 City council is throwing its support behind a new high rise on Carnarvon Street near New Westminster SkyTrain Station. What makes the project unique is the developer is partnering with the non-profit organization Performing Arts Lodges Vancouver (PAL), which provides affordable housing to artists. Next to Domus Homes' 32-storey tower will be an eight-storey building in which PAL will operate 66 non-market rental units just for artists. "The arts are so important to our youth and by keeping us here, we can keep contributing to the nurturing of those young talents," Roberts said. "There are a number of performing artists already living within New Westminster. This is where we live. This is where we formed our families. We contribute constantly to the wellbeing of New Westminster." Longtime New Westminster resident Christine Lowther, who says many of her friends have been priced out of the community, was excited to find out there would be an affordable housing component to the new high rise. She was disappointed, however, to learn that because of the partnership with PAL, artists would get first crack at the new homes. "I think this is kind of insulting to the people of New West because it will give the PAL group the power to exclude anyone who has not had an acting background," she said. "They're not for your mother, they're not for your aunt and they're certainly not for me." Coun. Jaimie Mcevoy says he spent a lot of time thinking about affordable housing for New Westminster artists while he was watching the Oscars last Sunday. "Some of those dresses and shoes cost more than some of our artists would make in a year," he said. "Every project helps. This project helps in a particular way." Fellow councillor Patrick Johnstone agrees the project will make a difference. "This does identify one area where affordable housing is needed and it fills one gap," he said. "This will, I think, contribute to the cultural diversity in our city at a time when the affordable housing crisis is pushing a lot of artistic people out of the city." Mayor Jonathan Cote says he would like the project to set a precedent for future developments. "I think the challenge for the city is, how do these types of applications with non-market components to them become part of the regular stream?" he said. There is one snag that council wants to see the developer take care of before the proposal moves forward. 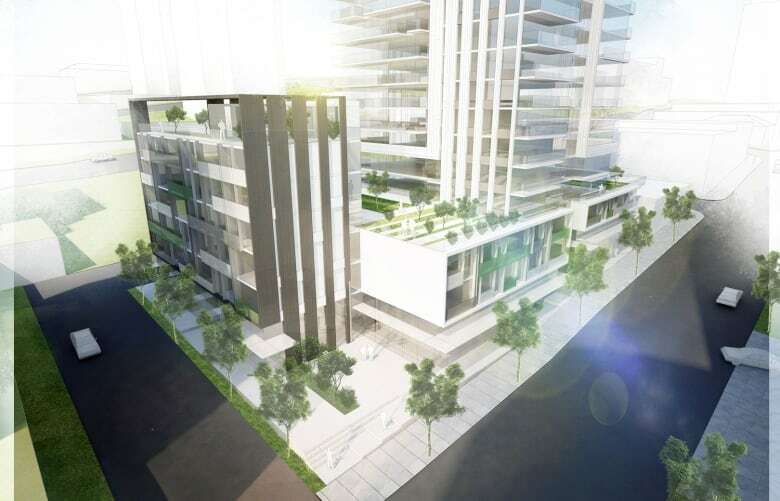 Domus Homes calls the tower Stage New Westminster. Stefanie Swinnard, who is with the nearby performing arts studio Stage New West, says the name could hurt her business. "As a small business owner, I don't have the resources to manage the inconveniences my business may face if this development goes ahead with the same name as my company," she said. A representative with Domus Homes assured council they will talk to Swinnard to come up with a name that works for everyone. The proposal third reading this week and it is expected to be back before council for final adoption later this month.